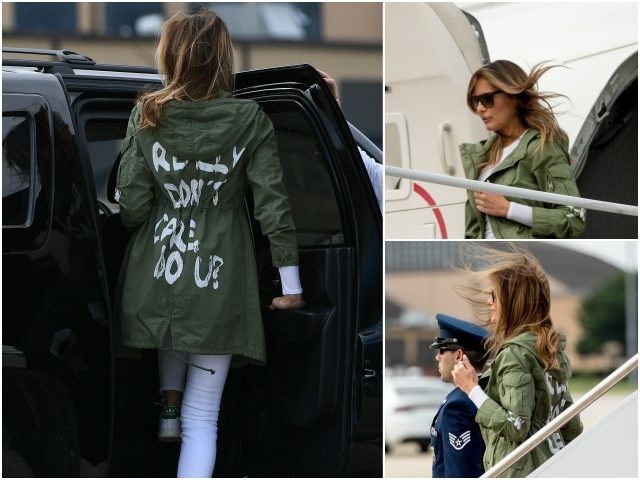 A parka with the saying “I really don’t care, do u?” graffitied on the back is skyrocketing in value after First Lady Melania Trump famously wore the jacket last week. 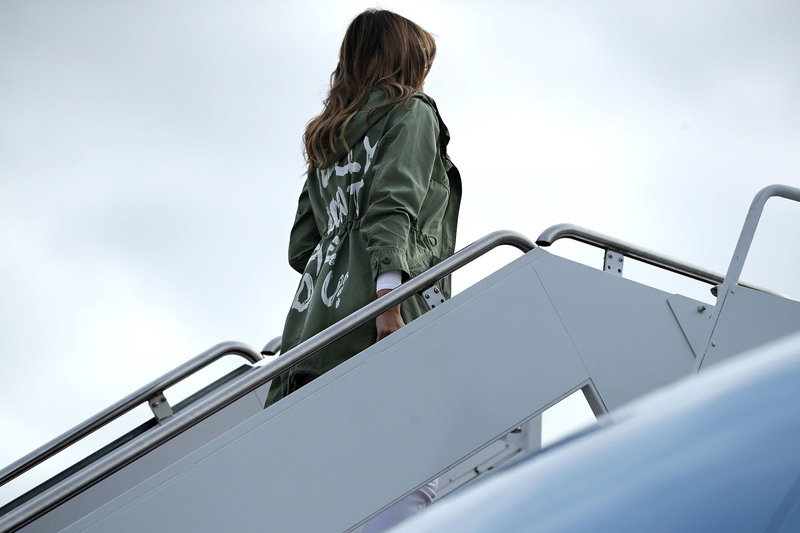 While boarding Air Force One for a trip to the United States-Mexico border, Mrs. Trump rocked the sold-out parka from fashion retail store Zara’s, in what President Trump described as a message to the establishment media which has relentlessly attacked the First Lady. 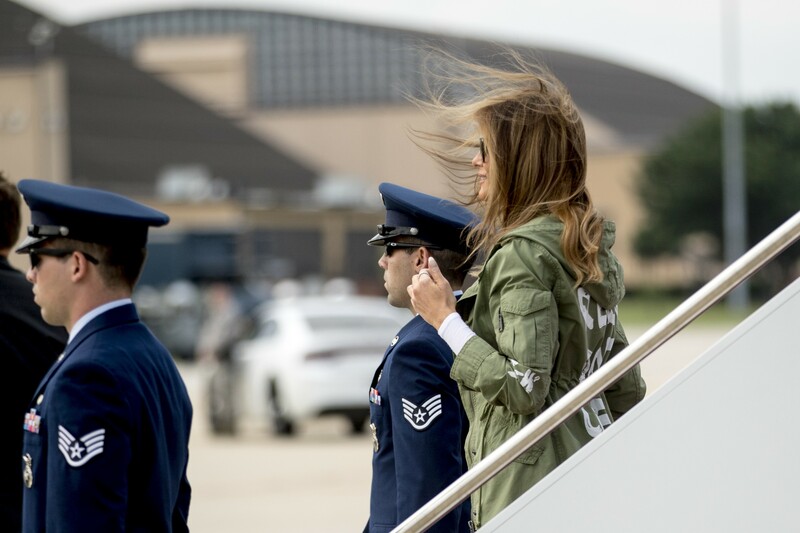 Since Mrs. Trump wore the parka, the value of the jacket has skyrocketed online, with buyers on eBay bidding anywhere between about $600 to $900 to get their hands on the statement piece. 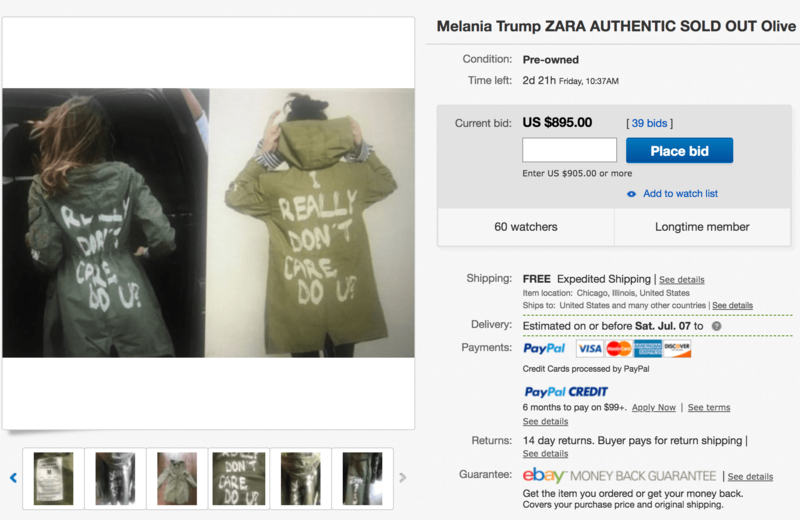 One seller has seen the bidding for Mrs. Trump’s parka rise past $600, as nearly 55 people have bid to buy the parka. Another seller’s bidding has risen to nearly $900 for the parka, with now almost 40 bids placed. 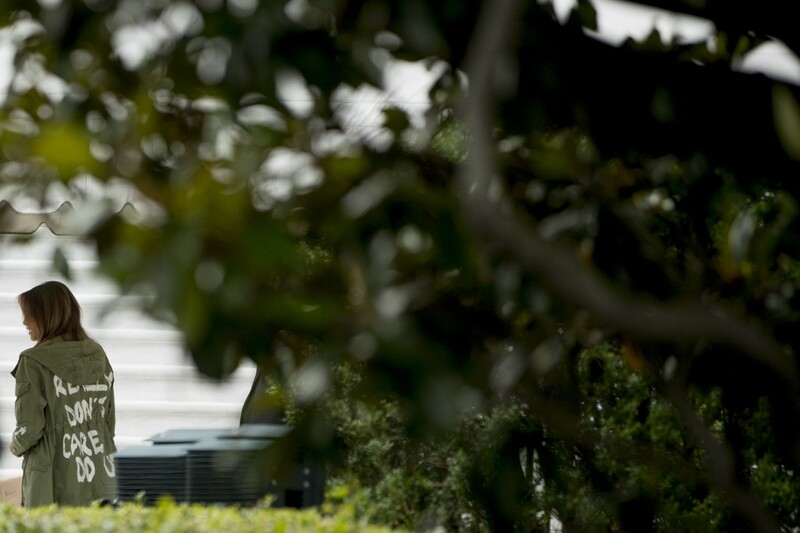 eBay has listed the parka as a “popular” item at the moment. 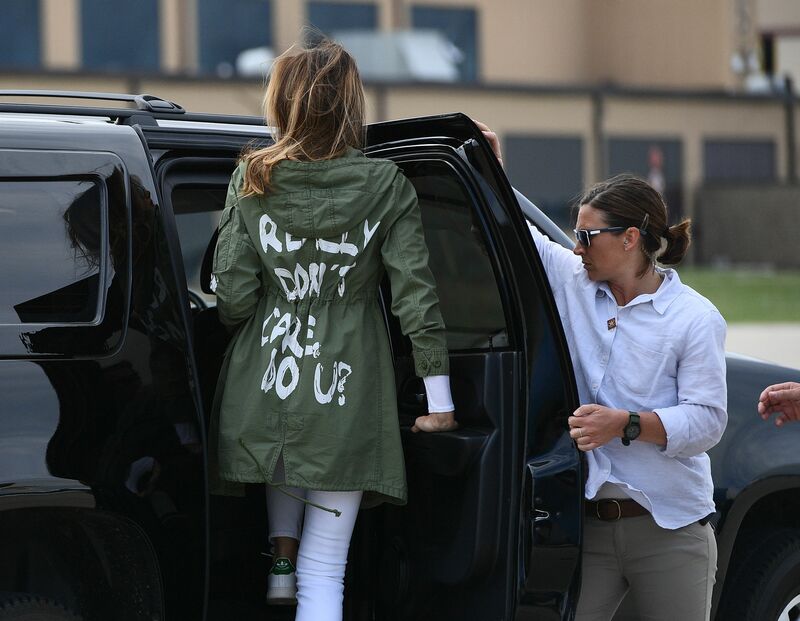 Mrs. Trump’s not-so-subtle message to the establishment media on her parka was met with outrage from the media and political Left, who seized on the opportunity to falsely claim the First Lady’s message was intended for unaccompanied minors arriving at the U.S.-Mexico border. 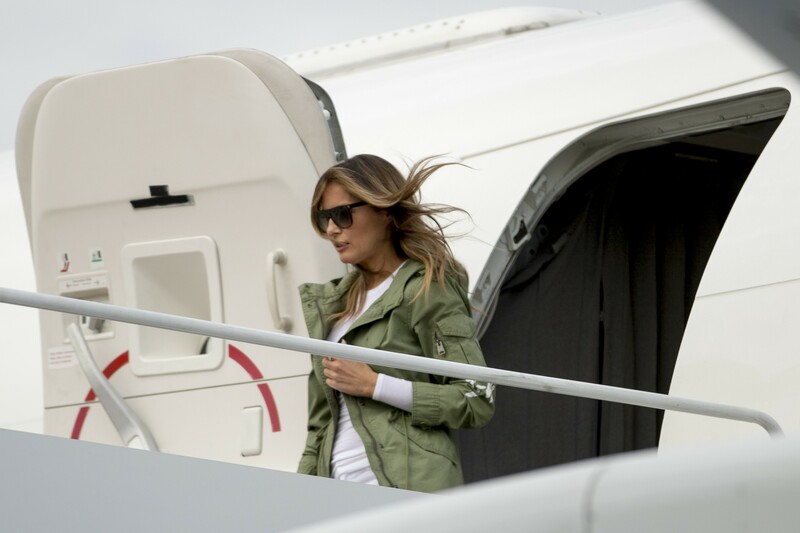 Though Mrs. Trump learned of the criticism while she was traveling back to Washington, D.C., the former model was not deterred from continuing to wear the parka all the way home to the White House, defying the media.